Nerve, while hardly perfect, is one of the better surprise flicks of the year as it’s just a simple but fun suspense-thriller featuring two fine performances from Emma Roberts and Dave Franco and a nice moral at the core of what is really a convoluted story, yet I was entertained from beginning to end. Plot Synopsis: Industrious high school senior Vee “Venus” Delmonico (EMMA ROBERTS) has had it with living life on the sidelines. When pressured by her best friend (EMILY MEADE) to join the popular online game “Nerve”, Vee decides to sign up for just one dare in what seems like harmless fun. Her first dare pairs her with the mysterious Ian (DAVE FRANCO) and together they take a journey through the city accepting as each dare becomes more and more risky. But as she and Ian find themselves caught up in the truth of the adrenaline-fueled competition, and Ian’s own dark past comes to light, the game begins to take a sinister turn with increasingly dangerous acts, leading them into a high-stakes finale that will determine their entire futures. 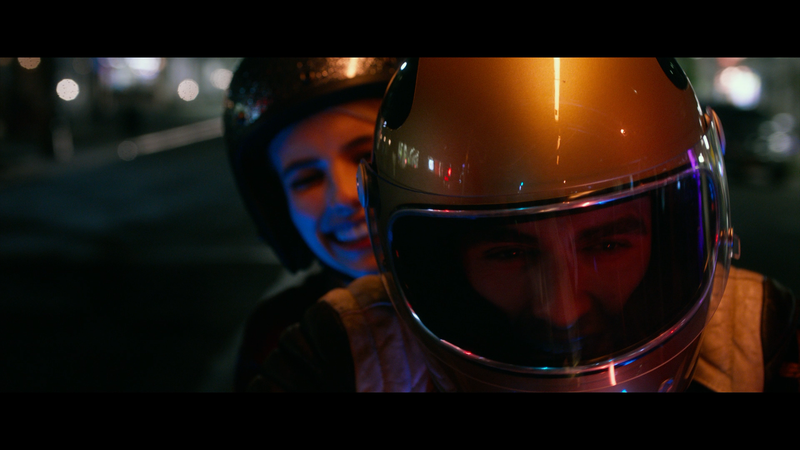 Quick Hit Review: Nerve perhaps is one of the better surprises in a really ho-hum 2016. The story itself isn’t fantastic and the acting is a bit iffy with some cringe-worthy dialogue, but the adventure aspect and the connection with today’s connected media, as well as the Pokemon Go craze, makes it a fun, if not throwaway, watch (so to speak). Sure, at times it’s silly and scratches the realm of belief but as a thriller, it works so well. As I mentioned, the performances aren’t the best but Emma Roberts and Dave Franco make the best of it and in conjunction with their respective charms, the direction by Henry Joost and Ariel Schulman (Catfish, Viral) and some creative set-ups, many in the POV of the watcher which leads to some thrilling moments (hope you’re not afraid of heights). I won’t say this is some instant classic but it serves really well as a Saturday rental and although there are some risqué scenes, has a well intentioned moral at the end. Overall, Nerve is hardly perfect and the script could’ve used a polish or two yet I found it entertaining and engrossing from beginning to end. Emma Roberts and Dave Franco share great chemistry with one another, Colson Baker a.k.a. Machine Gun Kelly makes his big budget debut following his turn as a jackass in Beyond the Lights and makes an impression as does Emily Meade (Money Monster) as Vee’s social media-obsessed BFF. @_IAN_(2:10) – Dave Franco and his character. @Flyin_Blind (1:48) – Filming of the blind motorcycle dare. @SYD_BABY_XO (1:40) – Emily Meade and her character. @WhiteKnuckles (1:40) – Hanging off a crane scene. @Made_U_Look (2:39) – On what it was like working with the directing duo. 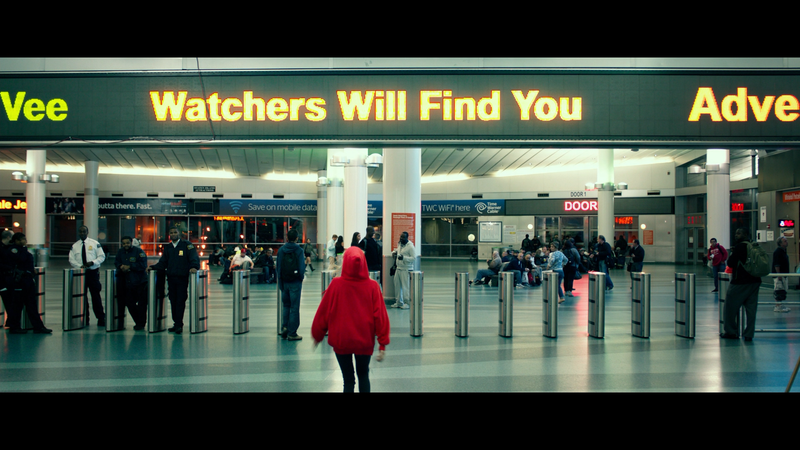 @IHeartNYC (1:19) – Filming in and around the city. @Vee_99 (2:09) – On Emma Roberts’s character, Venus. @TYdontDY (1:54) – Machine Gun Kelly and his character. @Tha_High_life (1:58) – Looks at filming the ladder scene. @darkweb_whiteknight (1:48) – Tommy, Venus’s best friend. @MicDrop (1:47) – Breaks down Franco’s serenade scene. @TimesSquareTakeover (1:20) – On Meade’s character pranks. @squadGOALS (1:49) – Internet stars cameos in the film. @Seymour_Butts (1:21) – Filming the underwear scene. @dropping_beats (1:17) – Looks at the score and music for the film. @govball_prankin (2:45) – People at the Governors Ball NYC Music Festival play the NERVE game. The Players are text profiles on each of the main characters. Do You Have the NERVE? is a game with dares. Are You a Watcher or a Player is an interactive quiz. 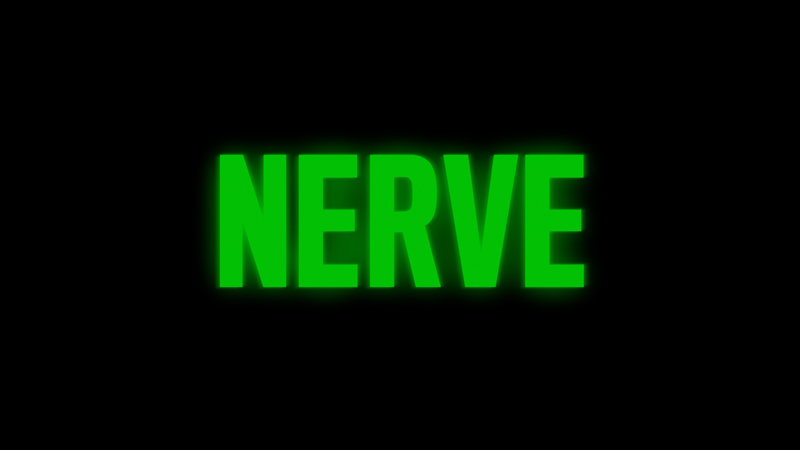 Lionsgate releases Nerve onto Blu-ray presented in its original 2.40 widescreen aspect ratio and a 1080p high-definition transfer (and AVC codec). Having recently watched Nicolas Winding Refn’s The Neon Demon, the color palette had some similarities. The cinematographer utilizes many neon pinks, yellows and others which makes for a vibrant scheme that pops off the screen. Detail is also impressive with sharp and well defined scenes, even ones during night time scenes (which comprises about 70% of the film). The disc includes a DTS: X track (converts to DTS-HD MA 7.1 for older systems) and it’s a pretty impressive audio demonstration. The more remarkable aspect isn’t anything within the movie, though it does sound fantastic, but instead with an almost hypnotic soundtrack/score which blares through every channel with clarity and depth. Beyond that, dialogue levels do sound clear and when the action does pick up, the biggest one being the motorcycle/blindfold sequence, that’s when this DTS: X track really shows its stuff. The LFE channel does kick in with some modest measure for an extra kick. Overall, Nerve, while hardly perfect, is one of the better surprise flicks of the year as it’s just a simple but fun suspense-thriller featuring two fine performances from Emma Roberts and Dave Franco. The Blu-ray released by Lionsgate offers up great video and audio transfers but the features are frustrating, wish there was a “Play All” option; even so, they were merely promotional features.